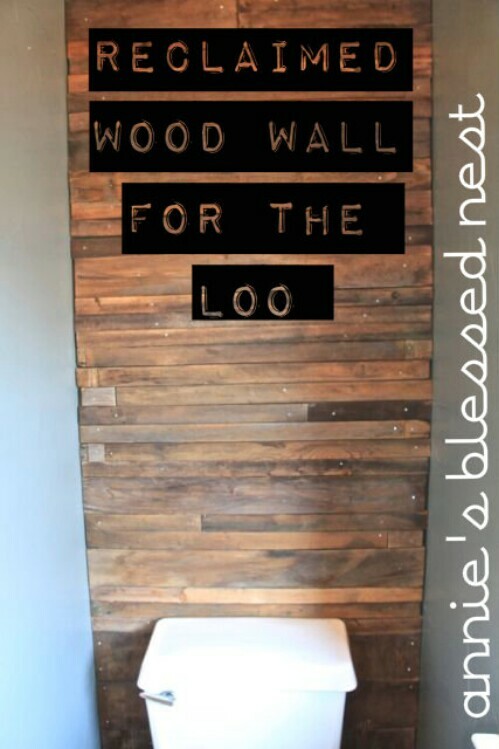 If you want to spruce up your bathroom with some rustic décor, one way to do it is to put up some wood paneling behind your toilet. It really does give a very pleasant homespun vibe to the entire room. If you check the source link, you will find a detailed tutorial to guide you through this project. Most of us have boring, functional toilet paper holders (personally I never have thought twice about mine). But why have boring anything when you can have beautiful? 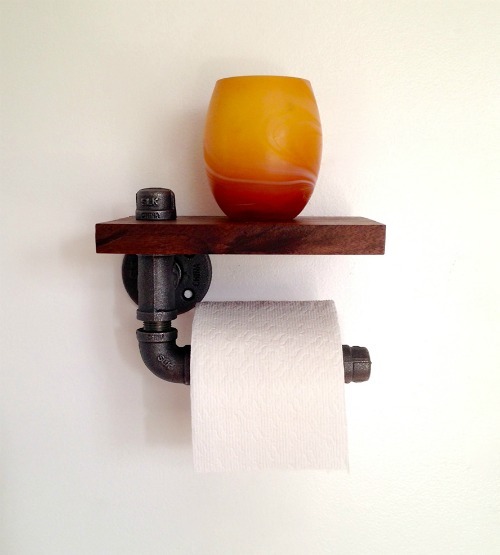 This wood and pipe design uses repurposed materials for an industrial look. Do you enjoy relaxing with a good book or working on a project (maybe writing in a journal or so on) while you are in the bathtub? 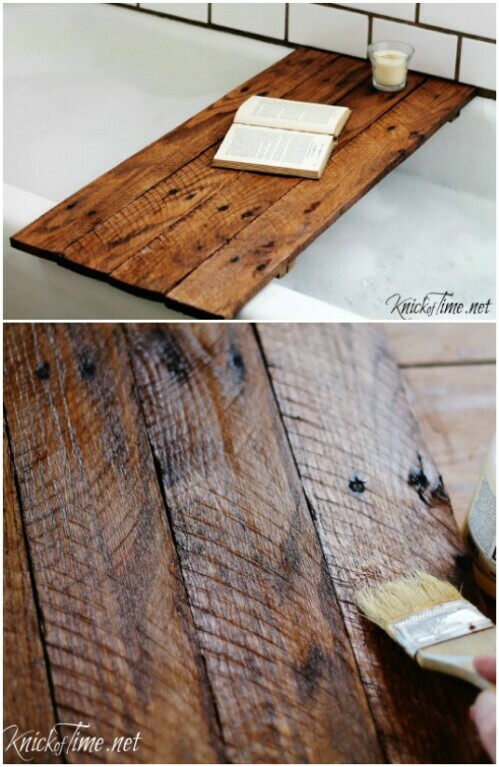 If so, you will love this clever design for a bathtub table which you can use while you are soaking. 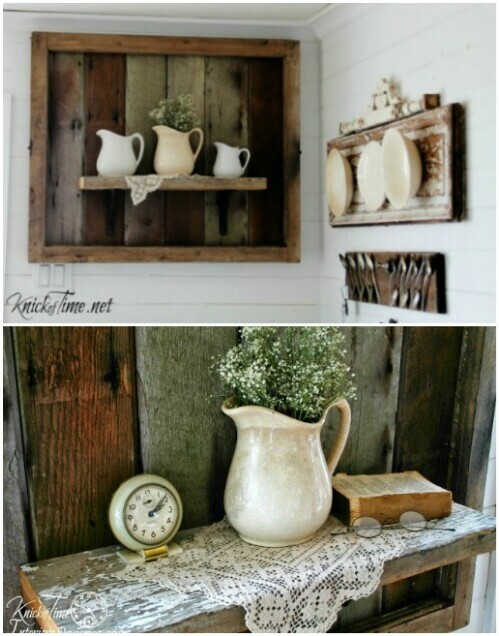 I just love this reclaimed wood shelf! The design is lovely and provides you with plenty of useful space. The bright colors are really cheerful, and also help to show off the texture of the old wood. Oh—and you can use it in your kitchen too! 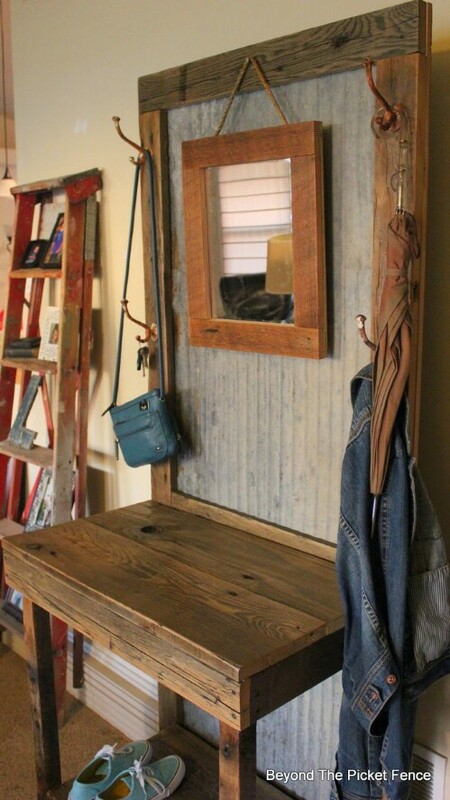 Here is a lovely display shelf built out of salvaged wood by Angie over at KnickofTime.net. Not only is the shelf itself gorgeous, but the antiques sitting on top of it really work beautifully with its homespun charm. Many reclaimed wood projects are clever in that you cannot tell exactly what the wood has been repurposed from. In the case of these wall shelves, the clever appeal is just the opposite. You can tell immediately that they used to be drawers—and that is why they are so cool! Here is an IKEA-Style trestle leg desk with a twist—the surface is made from reclaimed wood which used to be part of a floor. Check the source link and you will find step-by-step instructions which help you to make a trestle leg desk of your own. 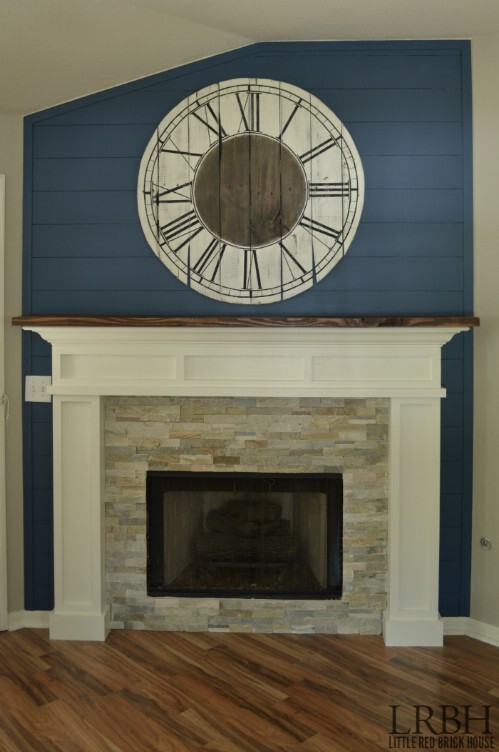 This project isn’t really for a working clock, but rather for a decorative clock-face. If you are mechanically minded, I imagine you could use instructions from another project and combine them with these to make a working version. It looks really awesome regardless. 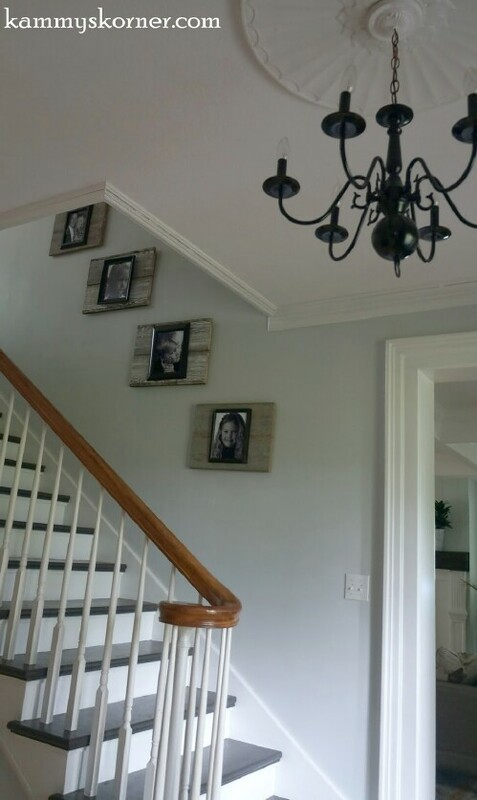 Lots of people have family photos running along their staircase, but how many have super cool upcycled wood frames? These are very eye-catching and really contribute to a homey feel in a stairwell which would otherwise have a pretty sterile look to it. Looking for a convenient place to put stuff in your entry hall or mudroom, or even in your living room? This hall tree is made out of beautiful reclaimed wood and includes a desk you could use for ingoing and outgoing mail, hooks for purses and jackets, and even a space for your shoes. The inclusion of a mirror for last minute appearance-checks on your way out the door is brilliant. Never forget that an item does not need to be functional in your home to be beautiful! 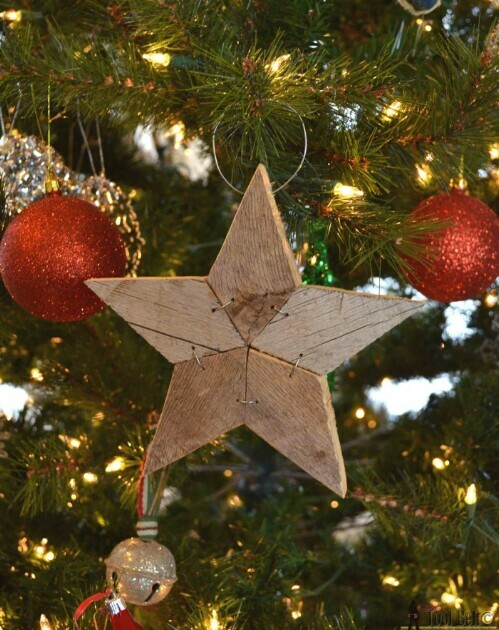 Here is a really cool idea for a simple star ornament which you can use on your Christmas tree or tack on your wall or place anywhere else where it could spruce up your space. It looks simple to reproduce, and you could use this same idea to create many other shapes! These simple shelves have a look which is at once homespun and industrial. 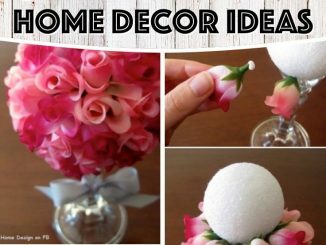 If you check the source link, you will find detailed instructions which would make it a breeze to replicate this design in your own home. Few things are as handy as a chalkboard. You can put one in your mudroom for family notes or in your kitchen for recipes. Check out this gorgeous chalkboard with a reclaimed wood frame. I just love those textures! When it comes to desk designs, few beat the L-shape which gives you extra space for all of your stuff. But this desk is so beautiful with all the different colors of wood that I think you’d want to keep the surface as clear as possible! 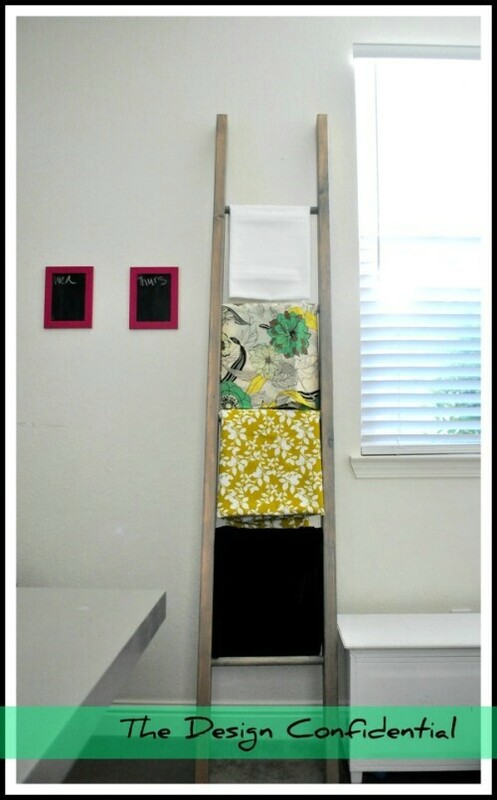 There is a big trend right now if repurposing old ladders as shelves. Well, here is a project that teaches you how to repurpose old wood into a new ladder which you build yourself—and use to store whatever you like. This one is being used for fabric. Check the source link for the full instructions! 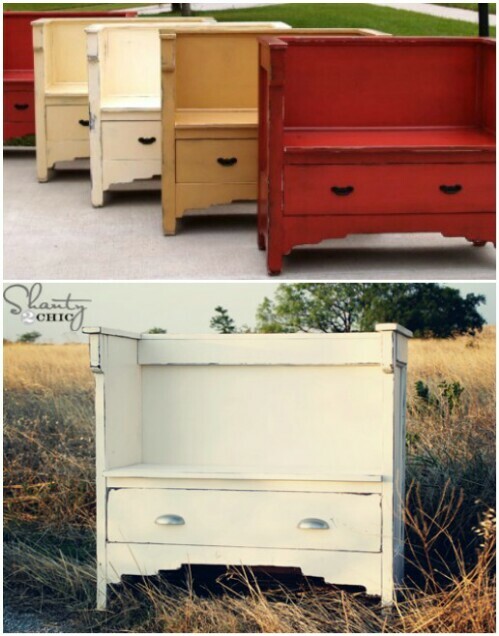 Here is a lovely design for a vintage-style bench you can build which includes a handy drawer. This would work well in the mudroom, but I think it would also be perfect for a living room or bedroom—or pretty much anywhere else in the home really. Check the source link for instructions! 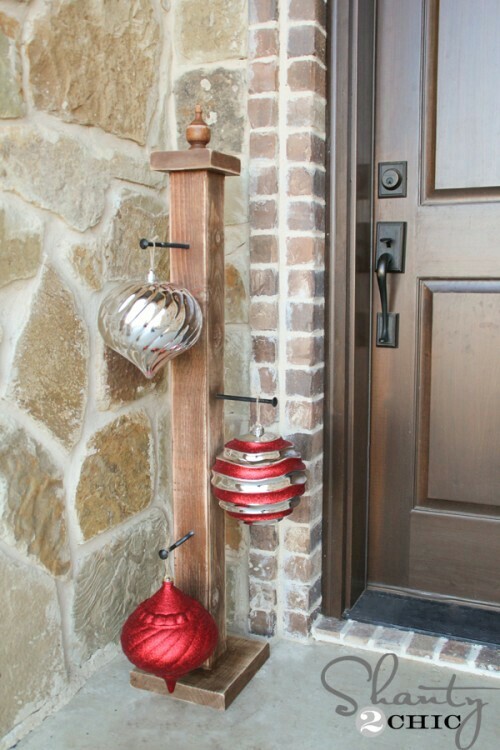 Looking for a creative and beautiful way to display ornaments on your porch for the holiday season? 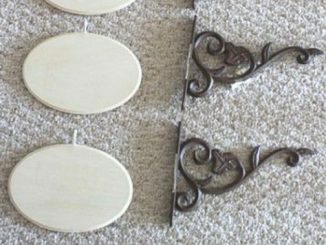 This project from Shanty 2 Chic teaches how you can create a front porch ornament stand. 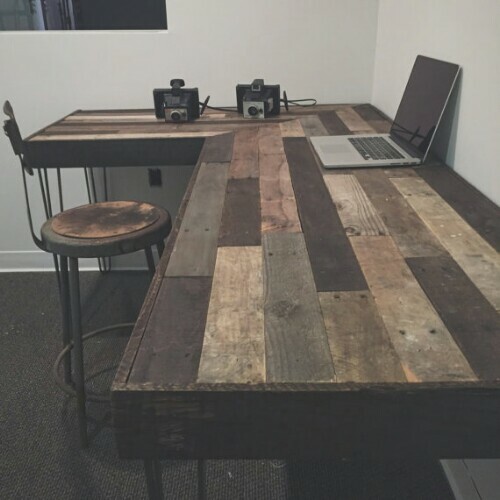 This particular stand used wood from Home Depot, but this is such a versatile project you could easily adapt it to a slab of reclaimed wood! 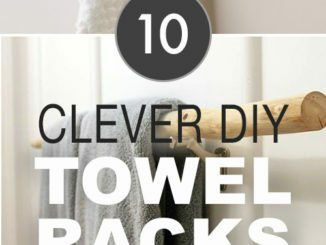 I imagine it’d also work great in the mudroom for holding hats, scarves, jackets and the like. 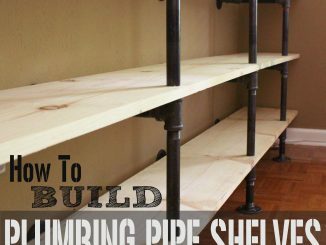 Here is a very simple project which even a beginning woodworker should be able to handle! 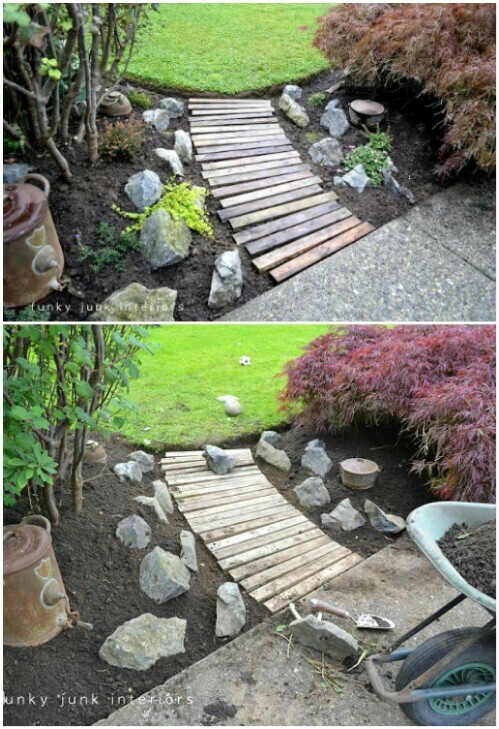 This garden walkway is made out of wood from old pallets. The effect is gorgeous! 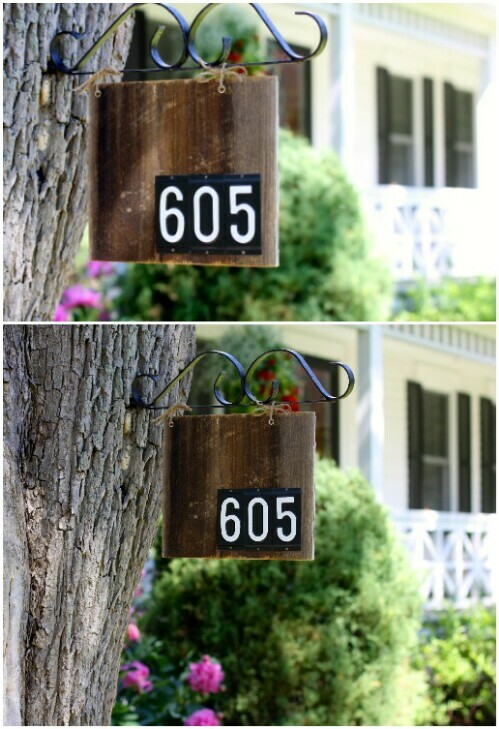 Looking to replace a boring old house numbers sign? 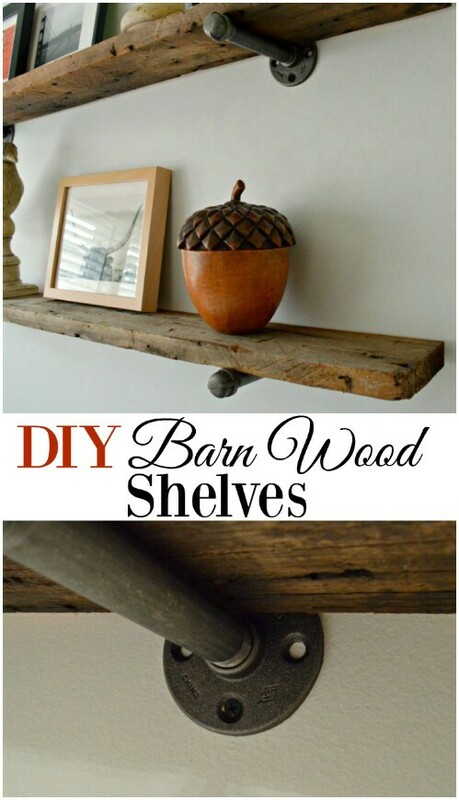 Here is an elegant idea using a slab of old barn wood. It looks awesome! Why stop at constructing just one item of furniture out of reclaimed wood when you can tackle an entire building? This beautiful garden shed was created by a company which deconstructs vintage buildings and then rebuilds them using the reclaimed materials (along with additional upcycled materials). This shed is just stunning! As you can see, there is nothing you can’t do with reclaimed wood and a little imagination and hard work. Whether you are trying to spruce up your kitchen, bedroom, bathroom, living room, or entryway, there are numerous beautiful ideas here which can enrich your home with some extra homespun charm!